As we gear up for the Maryland edition of Tell Your Story, I am excited for yet another opportunity to reach and manifest our dreams using the power of our own story. On April 21st in Downtown Silver Spring, together, we’re leaving mediocrity behind and embracing what really matters - our passion, our voice and our dreams – our stories. 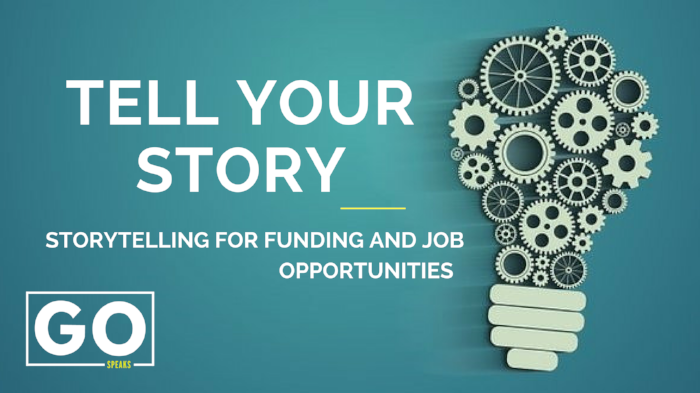 I want you to join us because for many members of our community, be it in Atlanta, New York, San Francisco or Washington DC, Tell Your Story is a defining moment. It is the moment when many struggling with the courage to articulate their truth find the power to do so. It is where they finally grasp the idea that their story is their greatest asset. They finally understand that their story is not their past-to-date but instead it’s their proximity to their dreams, and that true storytelling is an act of co-creation and an opportunity to bring one’s aspirations within reach. 3. Discover how to MONETIZE your talents and an expand your sphere of influence, impact, and income! "Gbenga's presentation of the Tell Your Story event was inspiring, engaging and highly instructional. 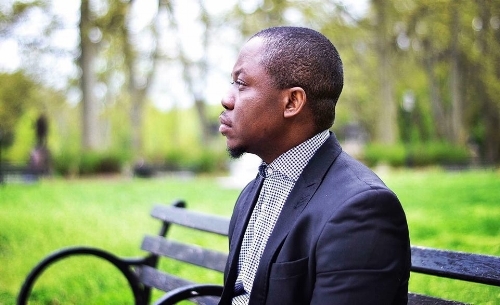 I was impressed by Gbenga's unique ability to selflessly share his own journey with others and encourage the audience to delve into our own vulnerability and challenge our own thought processes in pursuit of own professional identity and brand. His presentation was clearly organized with specific concepts, including those of influential storytelling, testimonials, and reflective of a leader with distinguished credibility in his field. In short, Gbenga inspires audiences to tap into their cores and empowers them with tools to act to transform their professional aspirations into a lived reality!!" Early bird tickets are now available. Register HERE. Fellowships at GO Global Inc.
Join the GO Global Team! As a leadership consulting and investing firm, GO Global Inc. empowers businesses and leaders at all levels to elevate their stories by unleashing the power of their brand identity. Since its inception in 2016, GO Global Inc. has established three national series (Tell Your Story, Find Your Core, & Activate Your Tribe), partnered with The Huffington Post to take the stories of coaching clients to the global marketplace, and funded 50+ entrepreneurs in the Washington, DC metro area with the Life Assets program. These combined efforts have elevated GO Global Inc. from the personal brand of Gbenga Ogunjimi to an enterprise recognized in the field of life coaching, business consulting and impact investing. In 2018, CEO Gbenga Ogunjimi has big plans for GO Global Inc.’s growth including securing international media platforms, and advising governments on emerging markets opportunities. He is looking for hardworking, entrepreneurial, changemaking, action-oriented individuals to join his team. 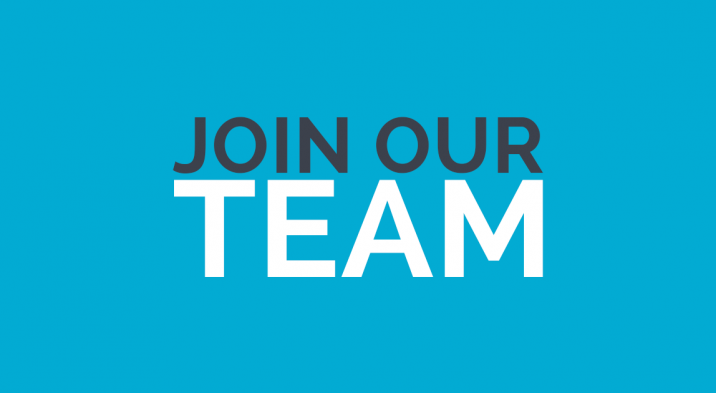 He needs a Chief of Staff (COS) and Digital Storytelling Fellow to assist with organization, marketing, event planning, and growth while offering one-on-one mentorship and leadership training. ● Organization: Coordinate efficient office flow while providing CEO with calendar management, travel logistics, and client interface. ● Event Planning: Execute logistics of fundraising events including catering, silent auction, speakers, and programming. ● Goal-Setting: Facilitate goal-setting processes for Gbenga to set and prioritize goals spanning GO Global Inc and other endeavors. ● Based in the Washington DC metro area with the ability to travel to offices in Downtown DC and Anacostia 2-3 days/week. ● Familiarity with collaborative tools such as Google Drive, SaaS based hosting platforms such as Squarespace, Wix.com, or WordPress, and CRMI platforms such as MailChimp, Constant Contact, and Salesforce. Fellow must commit to 6 months. Fellow will be expected to work 20-25 hours per week including occasionally staffing special events. ● While this is an unpaid position, as a Fellow will have the opportunity to enroll in GO Coaching program for the entire fellowship. GO Advance Coaching program is valued at $6,000. ● Opportunity to be coached and mentored one-on-one by Gbenga and experience the growth curve of an innovative social enterprise. Email your resume and a cover letter stating why you believe you will be a right fit for this position. Email application to info@globalgoinc.com with “Digital Storytelling Fellowship” in the subject line. Application deadline is April 1, 2018. ● Content: Understanding the vision and brand of GO Global and able to articulate the voice and mission in social media marketing, newsletters, press releases, brochures, copy for the GO Global website and other marketing materials. ● Design: Able to create simple graphics, shoot photographs and short video pieces for print and online materials. ● Time Management: Able to juggle multiple projects at the same time, work independently, and communicate progress and timelines. ● Goal-Setting: Facilitate goal-setting processes for Gbenga to set and prioritize goals spanning GO Global Inc. and other endeavors. ● While this is an unpaid position, the Fellow will have the option to enroll in GO Coaching program for the entire fellowship. GO Advance Coaching program is valued at $6,000. As an Identity Strategist, I have observed that thought leaders in transition struggle to give themselves permission to be the architect of their career goals, even considering all of their previous successes and accomplishments. I recently caught up with three participants of my Accelerate Coaching Intensive to learn more about their experience with the program and how it helped them to own their professional identity and personal brand. Describe the Accelerate 5-Day Coaching Intensive in three words? What was your biggest challenge before participating in the program? Just getting started! I had long thought about creating arts programming, curating shows, and starting my own business. I didn't know how to begin and I didn't trust that I had the skills or motivation to make it happen. At what point during the program did you have an “aha” moment? It wasn't a lightbulb moment per say, but on days 2 and 3 I felt like I had a small breakthrough. We were talking about our survival skills, achievements, developing our bios and LinkedIn pages. I realized that there were small adjustments I could make right away that would allow me to manifest my dreams in tangible ways. How have you been able to put the program to use? I instantly changed how I thought about myself and spoke my dreams into reality. One month after I participated in Accelerate, I proposed a show to Pyramid Atlantic Arts Center and it was accepted. After that I had no choice but to take myself seriously and to believe that I had what it takes to be an entrepreneur. I am proud to say the show will be opening this Friday and I have been using the skills I learned from Accelerate along the way! How do you professionally identify yourself before Accelerate and how do you identify now? Before Accelerate I told people I was an aspiring curator, after the program told people I AM a curator. Just making that small switch completely changed the way I introduced myself, thought about my goals and I noticed it changed how people saw me. 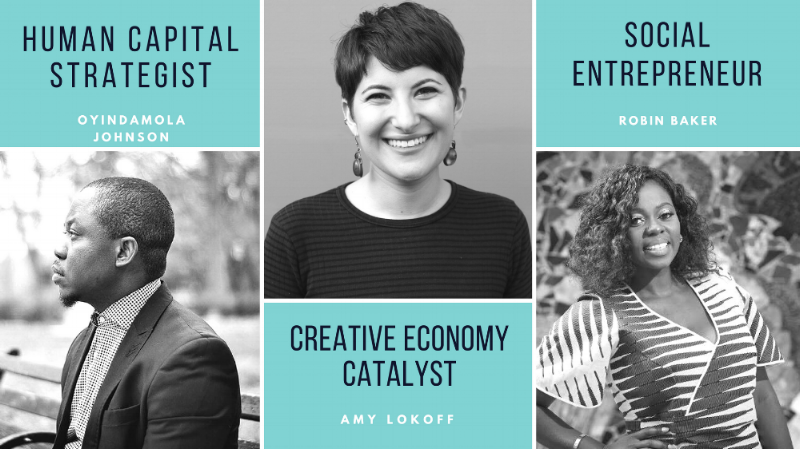 On my business card and on my social accounts I call myself a “creative economy catalyst” to sum up all the different roles I fill in my professional life. Learn more about Amy’s art show here. My biggest challenge was clearly articulating my personal and professional story. That would be Day 2. The Professional Identity and Thought Leadership class provided my “aha” moment because it introduced the concept that “I am not what I do, but what I do is the expression of who I am”. This was a brand new concept that I never considered. It was particularly insightful because prior to the program my organization, GoTherapy was my professional identity. Now in hindsight, I realized I never gave myself permission to think bigger. The idea that my professional identity is a personal brand with multiple facets of expression. This “aha” moment inspired this new way of thinking about my identity within a professional context. Since this program, I have expanded the scope of my professional identity by building my personal brand as a thought leader in global health and rehabilitation both within and outside of the United States. Most importantly, I have gained confidence and I am now able to clearly articulate my story, which ultimately has improved my ability to narrate the story of my organization. GoTHERAPY is now spearheading a new Initiative outside of the United States, we are establishing the very first Stroke Community Reintegration Program in Ghana to provide stroke survivors access to home-based rehabilitation services. Learn more about Robin’s organization GoTHERAPY here. My biggest challenge was bringing myself to the point of recognizing that I needed the program. Having pushed it off for a while, I finally took the leap and it's one of my best decisions ever. My initial hesitation was because at the time of the program I had already considered myself a leader. I had worked in many countries, currently enrolled in a prestigious nonprofit management training and served as a Chief of Staff at Practice Makes Perfect, a leading nonprofit in New York. As far as I was concerned, I was on the ideal leadership path. Participating in Accelerate ended up being one my best decisions ever because it provided me with the tools to make the leap towards my personal brand. I didn't have to wait too long to reach my “aha” moment. It started right from Day 1. Before the program, I knew I was skilled in different areas and passionate about many things. I, however, couldn't properly define who I was. Having gained clarity, here's my purpose statement: "I am passionate about raising ethical leaders to drive innovation, entrepreneurship and leadership in rural and urban communities, as well as empowering social change leaders to function effectively at the intersection of passion, purpose and impact”. Learn more about Oyindamola’s personal brand here.